Are SROs needed in schools? Cannon County Director of Schools Barbara Parker has been honored as the top administrator in the Upper Cumberland Schools District for 2013. 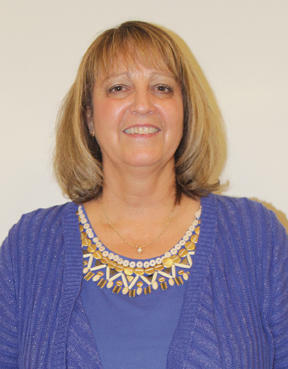 Parker has been named the 2013 Upper Cumberland Director of the Year by her peers, according to Randy Gannon, chairman of the Cannon County Board of Education. "I feel honored to be the Upper Cumberland Direct-or of the Year," Parker said. "I have worked with several of these men and women for a total of 12 years. It's a fine group of people and they are all deserving so I am humbled to be selected." Cannon County is one of 14 counties within the Upper Cumberland Reg-ion. It includes Cannon, Clay, Cumberland, DeKalb, Fentress, Jackson, Macon, Overton, Pickett, Putnam, Smith, Van Buren, Warren and White Counties. Parker, who has served as Cannon County's Director of Schools for a total of 12 years, oversees seven schools in the system. Despite limited funding from the Cannon County Commission, Parker has successfully managed the schools and implemented several programs through grants. In fact, East Side Elementary was named a state "Reward School" in 2012-13. "We have some good schools in Cannon County," Parker said. "I think our teachers and students do a great job with the resources we have. They make me proud and I hope I make them proud." Gannon praised Parker for the job she does, especially with the limited resources she faces. "We congratulate (Parker) on receiving this honor," Gannon said. "She works hard and certainly is deserving of this award." Because of a limited budget and financial burden Parker has to implement programs that benefit the entire system, not just a few schools within it. "We strive to implement programs that will give us the maximum educational benefit," Parker said. "In order to be successful, teachers have to build relationships with their students and the families of their students. Because we work in a small county, this is easily done. I feel that our students know they are important, and we want them to succeed." I think to say something like "Despite limited funding from the Cannon County Commission, Parker has successfully managed the schools and implemented several programs through grants" is a long stretch at the very least. Take the total budget the school system receives every year via the taxpayer and the commission and divide it by the number of students enrolled in the Cannon County school systems and you will clearly see the funding is there and the amount spent on each student per year is more than most counties in the state. Nothing was said about the fact that student enrollment in Cannon County has DECREASED substantially over the last few years and less money is needed as well. The entire article would have been much better without the implication that the County Commissioners do not fund the school system because that is a very inaccurate statement and to me shows bias. You can't pick and choose at random and create an accurate story. The implication when put out there is that "despite limited funding from the Cannon County Commission" is they are only funding the bare minimum of what is needed for the education of our children and that is as I said above very inaccurate. They fund ABOVE what is required. The article could have simply said “despite limited funding Parker has successfully managed the school system…….”. The need to imply the County Commissioners are behind that limited funding was not needed. I still have a daughter in school with several years to go. If I thought they (the commissioners) were not funding the school system in a manner that would provide her with the best education possible then I would be screaming at the top of my lungs about it. But, they do. And that is fact and provable and not just random speculation or a biased opinion. When deciding how much money a school system needs is made, the amount of students enrolled is a huge factor. That is why there is less money from the State of Tennessee given to Cannon County over the last few years because we are decreasing and not increasing. That factors into the decision made by the commissioners as well. The State of Tennessee will not give Cannon County a gazillion dollars when the enrollment is only 2000 student’s county wide vs. Rutherford which has over 10,000. I respect your opinion Resa, I just don’t agree with it because this is not about being a “poor county” as you suggest. This is about an outdated system the citizens of this county don’t want to let go of. This issue is NOT about having enough money or even limited funding; it is about how the money is spent. Schools systems are a black hole for money. You could give them a billion dollars this year and they would ask for two billion next year. We have six grammar schools and a high school with a full time enrollment of 2000 students and an extra 300 tucked in there for the roving student who stays for a while and then leaves. We spend approximately $14 million on a school budget every year and spread it out so thinly we cannot offer the things you say we need. Imagine what we could offer the students if we actually changed our way of thinking from 1950 to 2013. Imagine the academics and programs we could offer if we didn’t have to give a few dollars here and a few dollars there to seven different schools! The things we cannot offer is not because we don’t have enough money, it is because we choose to be “antiquated” as you say and on that I wholly agree with you. This will always be an issue until the citizens of this county wake up and realize the problem does not lie with “limited funding” or “not enough money” but how we use the money we do have more wisely and in a manner that benefits the student vs. benefiting the parent and their need to hold on to dying system because of basketball games or because their daddy went to a grammar school in 1965 and they want their kid to go there in 2013. This story is neither about limited funds or a middle school but about the great job Barbara Parker is doing with the funding available to her. Kudos to Barbara for getting the most possible for our kids. You read the story for what it was. It is obvious that you are educated. I agree with your comments and Thank you for posting them. As I said above, if it wasn't about "limited funding" then it should not have been part of the story. But it was. When it didn't have to be. Does anyone know where we rank in our TCAP scores compared to the rest of the counties in the state?